The ideal candidate would have a strong interest in both business and technology, and must be comfortable in a customer-facing position. 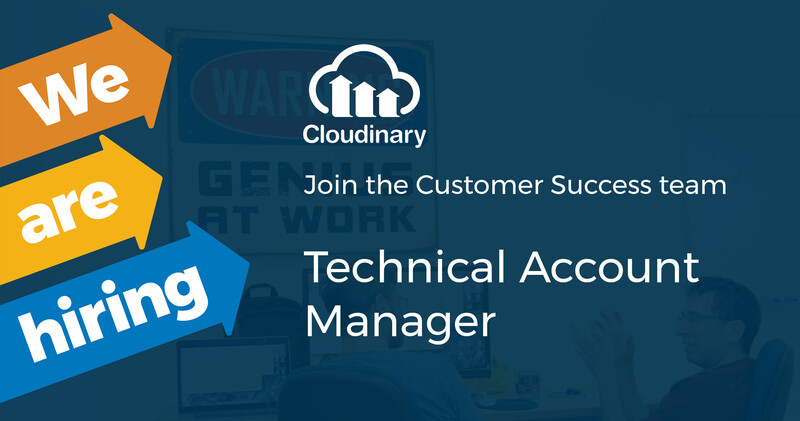 You will be the customer's go-to person for everything Cloudinary-related, and should be comfortable with discussing product capabilities and communicating the customer's voice internally. Oversee the on boarding of new accounts and ensure a successful conclusion. Be the focal point for the customer’s every need and become a trusted advisor with customers by deeply understanding their business and aligning their needs with our solutions. Provide technical guidance to developers, product managers, system architects around best practices on how to use our image and video platform. Nurture the relationship with the customer through ongoing communication and periodic meetings. Act as customer advocate internally while effectively collaborating with internal teams including product management, customer support, engineering, sales and finance. Track & monitor customer status, identify areas of concern and pursue growth and upsell opportunities. 3+ years experience as a Customer Success Manager in a SaaS company. Technical background in web/mobile environment including hands-on coding experience. Strong individual contributor who drives results. Work location at London office , ability to travel up to 20% (as required).